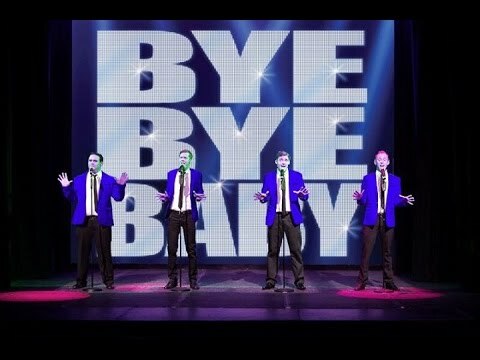 Chequer Mead - Blog - Make it a Night to Remember - with Bye Bye Baby! This March, don't miss a stylish tribute to Frankie Valli and the Four Seasons, as the incredible Bye Bye Baby group take you on a musical journey celebrating the greatest hits including Big Girls Don’t Cry, Walk Like a Man, Lets Hang On, Who Loves You, December ’63 (Oh What night), Grease, Can’t Take My Eyes off You, and of course Bye Bye Baby. Their incredible four part harmonies and roof raising falsetto, you will enjoy a memorable night of nostalgia with this energetic and stylish tribute to the timeless music of Frankie Valli & The Four Seasons. Book your tickets now for Saturday 9th March at 7:30pm here.